One of the best changes I made in 2014 was using my DSLR camera more often. I brought it with me while hiking, on family trips, and under multiple starlit nights. 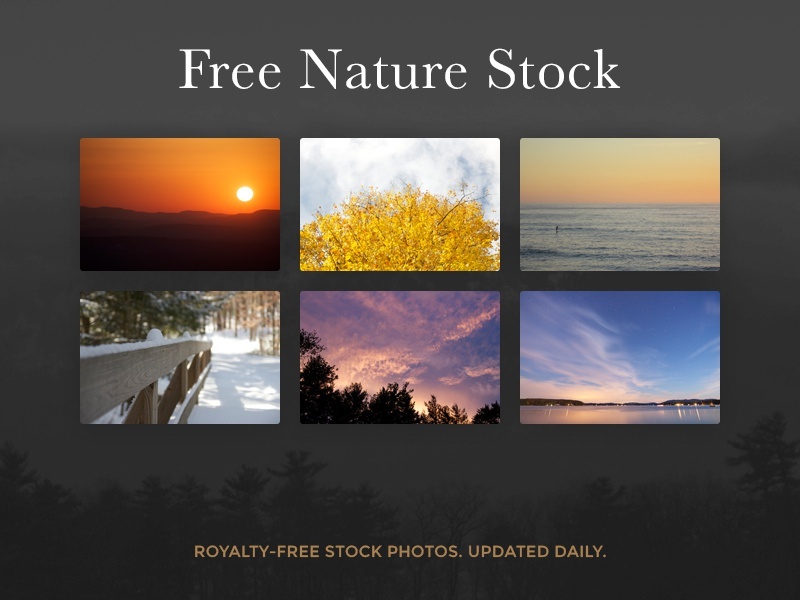 I want to keep taking pictures this year and to help motivate me, I created Free Nature Stock. Every day, I'll be posting a new photo from my adventures outdoors. Feel free to download and use them however you want. For more details about the project and how I built it, check out this article. You can also follow on Twitter for updates.